“A more impressive, richly imagined novel I have not read in many years,” wrote Lauren Elkin in the Financial Times. “A book that I look forward to rereading, savoring, studying for my own novelistic purposes:” Sonya Chung over at The Millions. 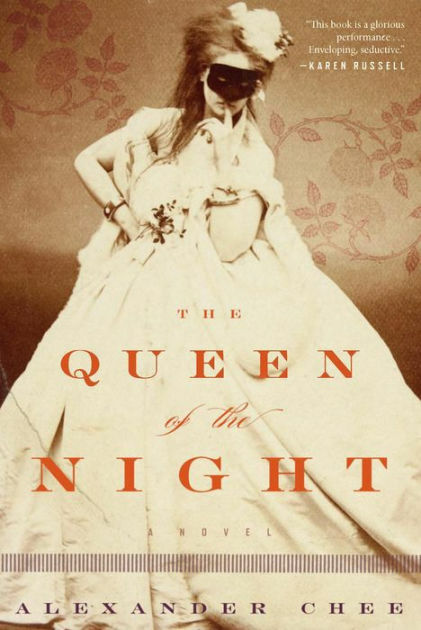 From fellow authors, too: “One doesn’t so much read Alexander Chee’s The Queen of the Night as one is bewitched by it” (Hanya Yanagihara). Chee’s second novel — which follows Edinburgh (2001), a Whiting Award (2003), the inauguration of his “Dear Reader” series at Ace Hotel, and essays and stories for everywhere from The New York Times Book Review to Out — has drawn wide praise indeed. We’re delighted to be welcoming Alexander to the first show in our fall season on September 20. But before then, we had a few questions for the man himself. Age: As old as you need me to be. Where are you from? The great state of Maine, by way of Korea, Guam and Truk. What is your occupation? Writer. Title of most recent work: The Queen of the Night. What are you working on now? A short story about a little girl who runs away from her home on Mars. If you had to paint a scene from your childhood to capture its essence, what would you paint? Snorkeling along the reef in Guam with my father at age five. What’s your earliest memory of literature? Discovering The Wapshot Chronicle by John Cheever at age 12 when I checked the town library for another Chee. What do you hope future civilizations will find in the miraculously preserved shell of your apartment? My cocktail shaker. And my collection of wool blankets. What are you reading right now? Zone One by Colson Whitehead, and Running, by Cara Hoffman. Who in fiction do you most closely identify with? Lucy Snowe in Villette, sometimes. Sometimes Susan Trinder from Fingersmith. If you could live inside a fictional world, which one would you choose? Merlin’s castle of many windows, each looking out onto another country. What are your preferred writing materials? A black Pilot pen and a Clairefontaine notebook. What’s the loveliest book that you own? The Adventures of Baron Munchausen, illustrated by Gustave Doré. How do you celebrate the completion of a piece of work? I buy clothes. Especially shirts. And sometimes a blanket. 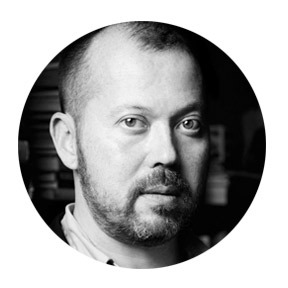 You can see Alexander Chee at the Seriously Entertaining show This Is Not the End on September 20, 2016, at Joe’s Pub at The Public Theater. Buy tickets here.